VX984 is a DNA-PK inhibitor. 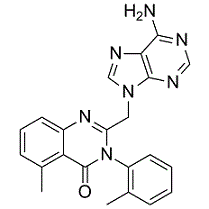 VX-984 is a selective DNA-dependent protein kinase (DNA-PK) inhibitor with IC50 of 88±64 nM for A549 lung cancer cells. PIK-75, free base is a selective inhibitor of PI 3-kinase p110α (IC50 values are 5.8, 76 nM and 1.3 μM at PI 3-kinase p110α, PI 3-kinase p110γ and PI 3-kinase p110β respectively). 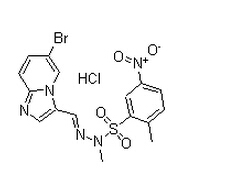 PIK-75 is a DNA-PK and PI3K inhibitor, which inhibits DNA-PK, p110α and p110γ with IC50s of 2, 5.8 and 76 nM, respectively. 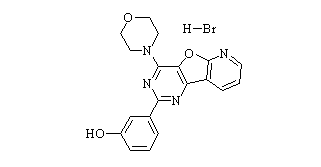 PI-103 is inhibitor of DNA-PK, PI 3-kinase (p110α) and mTOR. PI-103 is a potent, cell-permeable, ATP-competitive inhibitor of phosphatidylinositol 3-kinase (PI3K) family members with selectivity toward DNA-PK, PI3K (p110α), and mTOR. 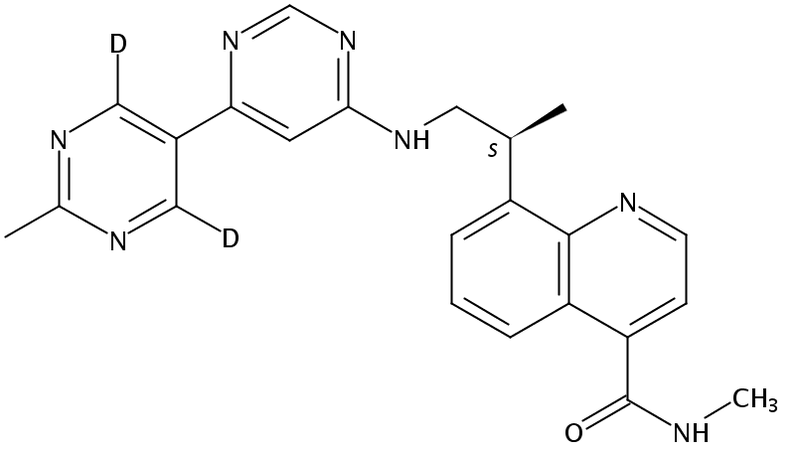 Compound 401 is a cell-permeable pyrimido-isoquinolinone compound that acts as a potent, reversible, and ATP-competitive inhibitor of DNA-PK (IC50 = 280 nM) with ~19-fold selectivity over mTOR (FRAP) (IC50 = 5.3 μM).